Mountain goats can frequently be seen in the Methow Valley area, although the population has been declining. Up to 350 mountain goats could be relocated to the North Cascades starting this summer as federal and state agencies work to eliminate the mountain goat population on the Olympic Peninsula. The National Park Service, in collaboration with the U.S. Forest Service and the Washington Department of Fish and Wildlife (WDFW), has prepared a draft Environmental Impact Statement (EIS) that it plans to finalize in the next few weeks. Public meetings about the plan were held on the west side of the Cascade mountains this month, though none were scheduled for the Methow Valley or anywhere else on the east side of the mountains. The majority of the goats will be delivered to 10 sites on the western side of the Cascades, with just two sites selected in the Okanogan/Wenatchee National Forest, one at Tower Mountain and the other in the southern portion of the Alpine Lakes Wilderness. Mountain goats from the Olympic Peninsula will be relocated to the North Cascades beginning this year. Mountain goats are not native to the Olympic Peninsula. They were introduced to that isolated ecosystem in the 1920s and have since feasted on the rare native plants that grow at high elevation there. There are more than 600 goats on the peninsula now, compared to an estimated 2,000 in the North Cascades, where the animals have lived for thousands of years. The population of goats in the North Cascades has declined since the mid-1900s and wildlife managers say bringing in goats from the Olympic Peninsula will improve genetic diversity and help the population continue to recover and expand across the North Cascades range. In Olympic National Park, the goats have caused problems for native subalpine plants that have evolved in the isolated ecosystem there. And, Happe added, they are drawn to naturally occurring salt licks, but there aren’t any of those in the Olympics, so the goats have learned that people — with their sweat and urine — are an excellent source of the salts the goats crave. “Bears seek human food, goats in Olympic National Park seek human salts,” Happe said. Some goats in Olympic National Park have become habituated to humans, often congregating around popular campsites and even becoming aggressive. 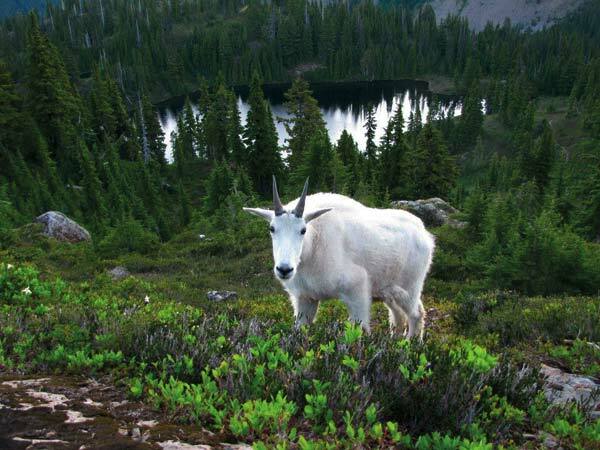 A hiker was killed by a mountain goat in Olympic National Park in 2010. Mountain goats are not native to the Olympic Peninsula. Hundreds were removed in the 1980s, but their numbers have bounced back since then. “It was a terrible thing,” said Rich Harris, spokesperson for the WDFW. “All wild animals are potentially dangerous.” Harris said goats that have demonstrated aggressive behavior or become overly habituated to interacting with humans won’t be relocated, and wildlife officials will monitor goat behavior after relocation. Local officials estimate the population of mountain goats in the Methow Valley area at roughly 45 animals. Local wildlife officials conducted surveys over an area of roughly 200,000 square miles in 2016 to get that estimate. In order to issue any hunting permits, there must be at least 100 animals. There has not been a permit issued to hunt mountain goats in the Methow Valley for almost a decade. 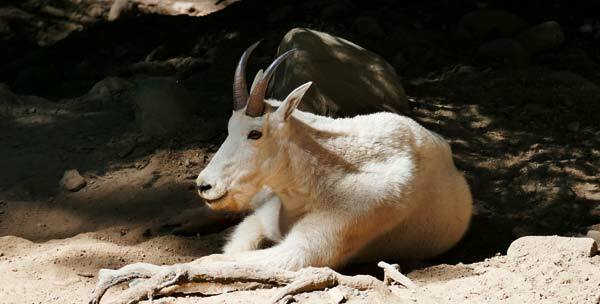 Locally, and across the Cascades range, mountain goat populations have been declining. Goats and other ungulates are drawn to burn areas because there are more grasses to forage. “It’s been a while since there was a fire in the Gardiner/Abernathy Peak area so the forage habitat might not be as good,” Fitkin said. He’s eager to do a goat population survey in the area of the Diamond Creek fire, which burned in the Pasayten Wilderness last year. He suspects goats will be drawn to the area as new growth takes hold. “The best place to see goats in the Methow Valley is Blue Lake,” Fitkin said, recommending that hikers head north towards the climbing areas between Early Winters Spires and Blue Lake. “They’re not just prized as a game animal. They’re watchable wildlife. People really like seeing goats and we try to manage for both of those values,” Fitkin said. He cautioned hikers to keep dogs on a leash and try to relieve themselves away from camping and picnicking areas, ideally on rocks so the goats don’t trample the vegetation. Salty, sweaty pack straps and food will also attract the goats. “If they’re being aggressive, wave your arms, throw rocks, be aggressive back, but avoid them if you can and don’t get up close,” he said. Local officials asked people to report any incidents with aggressive goats to the local WDFW ranger district or Forest Service office in Winthrop. There have not been any recent incidents between humans and mountain goats in the Methow Valley, though a goat reportedly gored a dog on the Blue Lake trail three years ago. The Park Service is expected to issue the final EIS in the next few weeks, then plans will get underway to start relocating the goats this summer. The mountain goats will be captured on the Olympic Peninsula using tranquilizer guns fired from helicopters. Some may be captured on the ground using drop nets and modified box traps. Then the goats will be transported by helicopter to staging areas where vets will check them out and take blood samples before the animals are loaded into individual crates and transported by refrigerated truck (to keep them cool in the hot summer temperatures) off the Olympic Peninsula. 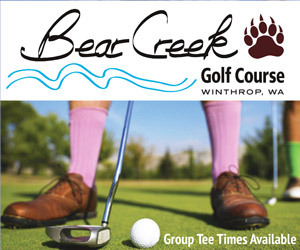 They’ll then be released using helicopters to move them up into the alpine ecosystems of the North Cascades. “It is going to be a big project with some disturbances with noise and helicopters for hikers but we think that long term we’ll be better off for having taken this action,” Harris said. But wildlife managers at WDFW and the National Park Service said mountain goat removal in the Olympics is long overdue. In the 1980s the population there was almost double what it is now. Happe says there was a visible effect on the landscape from the wallowing and trampling. “When we removed hundreds of the goats in the ’80s we saw the ecosystem bounce back,” Happe said. But not all the goats were removed at the time. Since then the population has bounced back, and continues to rise at a rate of 8 percent per year. The U.S. Forest Service declined to be interviewed for this story. Each year, the state issues between 25-26 hunting permits on a lottery basis for specific areas. 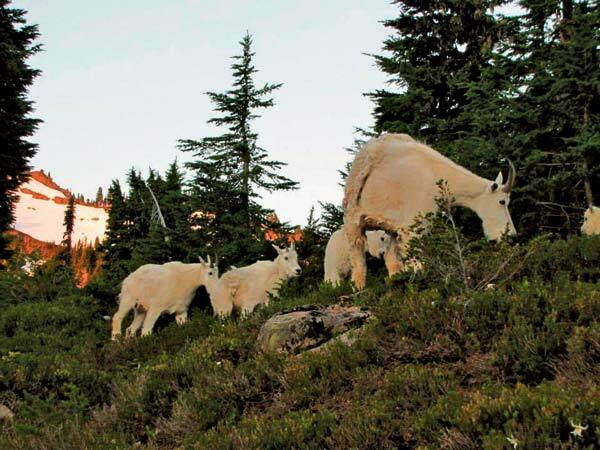 Six permits will be issued for mountain goats on the Olympic Peninsula this year. In the future, the Park Service will recruit skilled hunters to cull the remaining mountain goats in Olympic National Park.